Save the Date: Volunteer on August 18 to “Fight the Phrag! This will be the fourth summer that Watershed Trust, NVCA, the Town of Collingwood and Georgian Bay Forever have joined together to cut down the invasive Phragmites along the Collingwood shoreline. 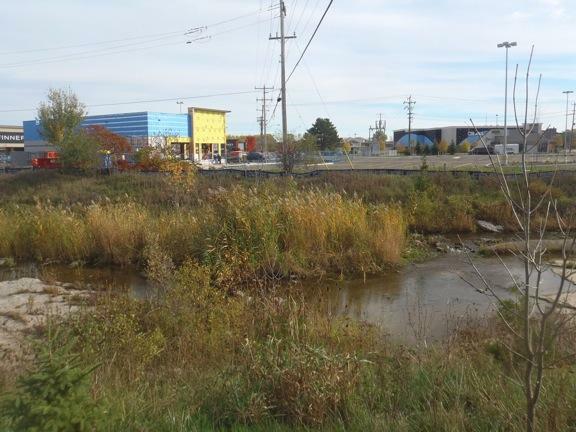 Again this year we will target the Eastern Fen, the wetland west of Sunset Point Park and east of Heritage Drive. With its long roots and runners, Phragmites out-competes our native plants. It is a significant threat to our coastal wetlands and nearby streams, and if not stopped, will eventually constitute a dense monoculture seriously impacting the native vegetation. Wildlife is impacted too as passage through the stands is difficult for amphibians and reptiles and they are often found dead in the more dense stands which can have 200 stems per square metre. For information about volunteering contact Sarah Campbell of NVCA at scampbell@nvca.on.ca or call 705-424-1479.